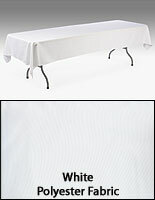 Buy Table Skirts In Bulk and Save! These Tablecloths Look Great When Grouped Together in a Ballroom Display! 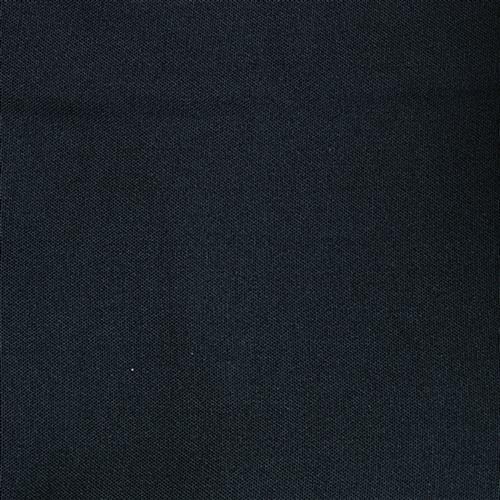 These tablecloths are eight feet in length, which makes them ideal for use on six-foot long tables. 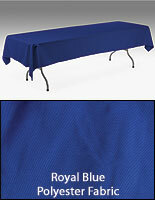 The table skirts, tablecloths, are 54" wide ensuring no excess fabric hangs over the sides of the table. 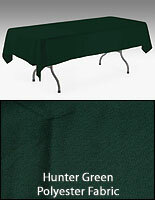 As these tablecloths are designed for use with table skirts, this short overhang is very advantageous. Not only does a shorter overhang ensure a smooth top surface, it also ensures that you will have easy access to the space under the table if you desire to store supplies in that space. 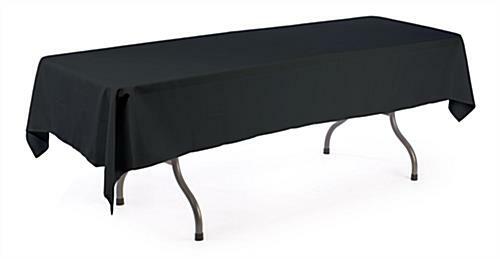 Tablecloths, such as these affordable table skirts for sale, are the perfect table coverings for use in reception halls and banquet facilities. For a completely cohesive display, each table in the banquet hall or ballroom should look the same. That's why we sell these table throws at even lower prices when you buy in bulk! These tablecloths are provide an easy way to create a cohesive look in any room. The throws are designed for use with the coordinating table skirts. They cover the top of the table to hide an imperfections as well as to create a sleek look. 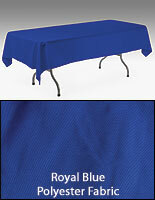 These table throws, also called table skirting add-ons, are fabricated of 100% polyester. The black color of these table skirting accessories creates an ambiance that no other can. 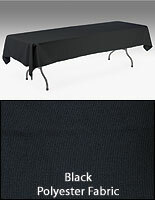 Buy these sleek black tablecloths now to add to your linen collection.